Just a short trip and a long nap will do wonders… Carroll’s innkeepers, and our local hotels welcome the harried business person, the traveling family and the “get-a-way for a weekend” couple. Several include breakfast and some are even “pet friendly.” Lounge around in bed all morning or go out to discover our charming Main Streets, our fun events, historic attractions, and our beautiful scenery….For a FREE information packet chock-full of trip planning ideas, call 1-800-272-1933 or contact us. 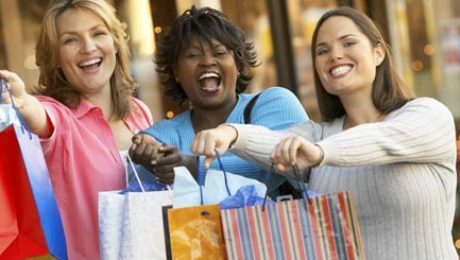 Carroll County offers the visitor an array of shopping experiences from small Main Street shops to large department stores. Stroll our Main Streets to find one-of-a-kind handcrafted items. Our merchants are waiting for you with a smile and a helpful attitude to assist you in selecting just the right gift for family or friends. 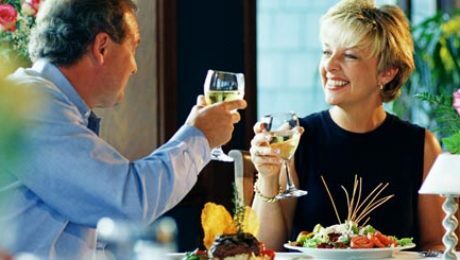 Don’t forget after a few hours of shopping to rest your weary feet at one of our restaurants. We offer something for everyone, from comfort food to upscale cuisine. Welcome to biking in Carroll County… where 10 loop tours, consisting of over 150 miles of cycling, offer varying degrees of difficulty. Our bike tours provide the recreational cyclist a unique view of scenic back roads while highlighting scenic stops and historic attractions. The detailed color-coded routes offer cyclists a preview of slopes that will be encountered, and will enable cyclists to quickly plan routes based on length and difficulty. See below for local bike shops to assist you with a purchase of a new bike or for bike repairs. Click on the links below to get text directions for a Bike Tour. To present accurate and complete historical information. To promote activities and encourage increased public participation in and celebration of holidays and other significant people or events. To develop and implement strategies recognizing Carroll County as being at the “Center of History”. Imagine rural farm life in the 19th Century as you arrive at the Carroll County Farm Museum. Lively history is on the mind of the costumed guide as she escorts the group through the main house. Self-directed choices abound on the grounds of the 140-acre site, and a stroll in the old-fashioned garden may follow. Craft demonstrations may include pottery, wood carving, or quilting in the old dormitory. A glorious contrast is the antebellum elegance embodied at Antrim 1844 Country House Hotel. Nestled in historic Taneytown, this award winning mansion will tickle and entice your decorating instincts. The grand images are a wonderful introduction to the specially prepared and served luncheon with all the trimmings that will complete your visit to this restored plantation. (Low heels are requested due to the historic preservation). Union and Confederate soldiers camped on the grounds and alongside the Big Pipe Creek of the Union Mills Homestead and Grist Mill. Retrace the steps of history as you tour the 1797 Homestead which was home to six generations of the Maryland Shriver family – a family that believed in throwing nothing away! The miller then invoked the technology of 19th century industry with the faithfully restored undershot wheel and mill. Recipes and stone ground flour are available at the gift shop. Union and Confederate soldiers camped on the grounds and alongside the Big Pipe Creek at the Union Mills Homestead and Grist Mill. Retrace the steps of history as you tour the 1797 Homestead which was home for six generations of the Maryland Shriver family, then watch 19th-century technology at the restored mill, and take home some stone-ground flour from the gift shop. Kountry Kafe and Katering has prepared a special box lunch filled with tasty sandwiches, pasta salad, and assorted goodies to complement the ambience of a relaxing lunch in the country. 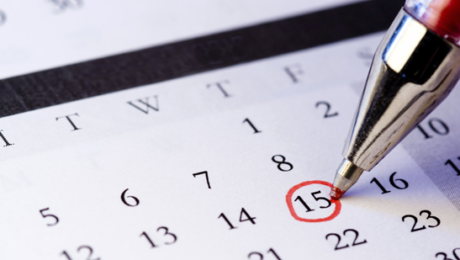 Complete your day with the Historical Society of Carroll County. The campus offers a look at town life in the early 1800s through a guided tour of the Sherman-Fisher-Shellman House (1807) and Gardens. Antiquities and artifacts from days gone by abound in the Shriver-Weybright Gallery. You can even find some things from Francis Scott Key among the treasures and don’t miss The Shop at Cockey’s. Carroll County offers two driving tours which help the visitor navigate the troop movement throughout Carroll County. To order “Carroll County, Maryland: Roads to Gettysburg,” “Gettysburg: Invasion and Retreat,” and the “Corbit’s Charge” Walking Tour brochure, click here. 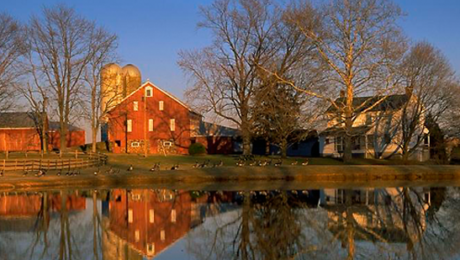 The rich farmland of Carroll County skirts the Mason-Dixon Line, denoting North from South. Picturesque and serene, this pivotal county remained relatively unscathed during the two years the Civil War raged here. Union commanders were aware of the strategic value of this rolling farmland. The recently completed Western Maryland Railroad’s depot in Westminster meant much needed supplies could come in from Washington and Baltimore. The Union Army of the Potomac set up its rail head and supply base in Westminster where it remained during the course of the war. Supply lines were established and guarded; residents became accustomed to Union troops and supply wagons in and around their once peaceful town. With Confederate troops converging from the north and west, Major General George G. Meade, Commander of the Army of the Potomac, developed a plan to protect Baltimore and Washington. If the Confederate Army moved south, the “Pipe Creek Plan” would create a defensive shield behind Pipe Creek, which flows west across Carroll County. Meade’s army began moving northeast from Frederick to position troops in the hills outside Manchester, as described in the Pipe Creek Plan. Though they didn’t know yet, these soldiers were marching on the roads to Gettysburg. Carroll County’s involvement in the Civil War can be retraced by car with maps of the county and other areas leading to Gettysburg. There are two driving tours to help navigate the county. The first tour, “Carroll County, Maryland: Roads to Gettysburg,” helps the visitor navigate the movements of over 60,000 troops from the southern end of the county up to Gettysburg. The second tour, “Gettysburg: Invasion and Retreat” is a much broader look at the June-July 1863 Campaign including surrounding counties. This map guides the visitor along the armies’ paths, stopping at 18 markers with illustrations, photos, and interesting stories about the impact of the War on local citizens and the day-to-day stories of soldiers who marched toward the epic Gettysburg battle. Follow the bugle trailblazer signs to the 18 wayside markers. 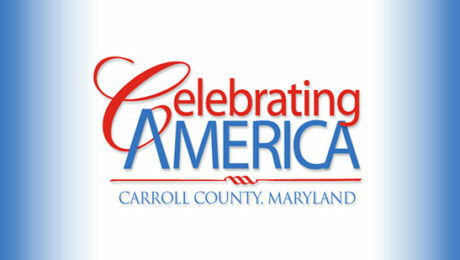 Both maps can be picked up at the Carroll County Visitor Center or requested at the above link. 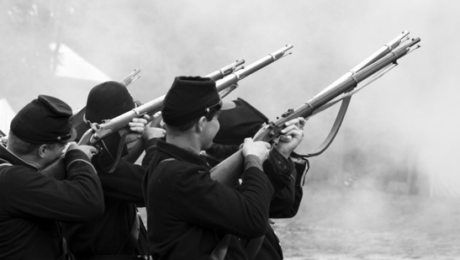 In addition to the two driving tours, the visitor may experience the Civil War through a self-guided walking tour, “Corbit’s Charge,” on the Main Street of downtown Westminster. This walking tour, written by Tom LeGore, provides the background of “a small, but extremely important cavalry skirmish which took place in Westminster on June 29, 1863. The clash on the edge of town between General J.E.B. Stuart’s cavalry and a small unit of the Delaware cavalry was a significant factor in slowing down the General’s march. Instead of proceeding into Pennsylvania to inform General Robert E. Lee about the major Union troop movements, Stuart’s cavalry was delayed long enough to make it advisable to spend the night in the Westminster area. Historians have often wondered whether the results of the Battle of Gettysburg might have been different, if Stuart had arrived before July 2nd.” The “Corbit’s Charge” walking tour brochure can be picked up at the Carroll County Visitor Center or requested at the above link. Check website for details and ticket information! Saturdays and Sundays in May, 2019. Four cupcakes from Stone House Bakery will be paired with Detour’s wines. The Americans with Disabilities Act applies to the Carroll County Government and its programs, services, activities, and facilities. Anyone requiring an auxiliary aid or service for effective communication or who has a complaint should contact Gina Valentine, The Americans with Disabilities Act Coordinator, 410.386.3800, 1.888.302.8978, MD Relay 7-1-1 / 1.800.735.2258 or email gvalentine@ccg.carr.org as soon as possible but no later than 72 hours before the scheduled event.